Companies of all sizes face workflow challenges. If you own a company with more or fewer than 50 employees or you are a department head who knows that the company is hemorrhaging money because of workflow problems, you need a solution. First, you must identify the problems to understand what is needed to solve them. One of the most common problems is having a software provider whose workflow automation software is limited. This is allowing the software company’s problems to worsen the problems that you need to solve. Two words describe the solution: “workarounds” and “customization.” You need these two things in your software so it solves all the problems that you identify. Existing workflow patterns that you can upload and customize is an example of a workaround that makes you more efficient. It’s obvious that organizational workflow is going to have an impact on work quality. The quality of the work is going to influence the impression of the customer. If that impression isn’t good, the customer will move on, which is money lost. If these deficiencies continue and customers continue to leave, that translates into a noticeable dent in the bottom line. 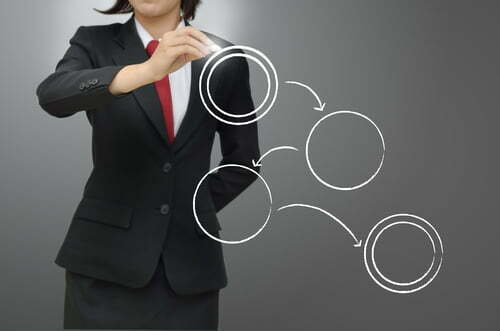 The negative impact that the lack of organizational workflow can have on the bottom line usually is the result of poor communication, confusion, no clarification as to who is to complete which tasks, poor data capture methods, and lack of mobility so employees can take their work with them when necessary. You can customize workflow to fit your needs and not fall victim to a software provider’s limitations, and you can do so from workflow samples that you upload rather than from scratch. Low code means you don’t have to have programming knowledge to create workflows from scratch or from workflow process examples. Confusion as to who is to complete which tasks is relieved because tasks can be assigned in the program. Web forms make it easier to capture and manage data. Real-time control allows employees to see what is happening while it’s happening, which improves communication. Employees that need access to the system off-site have mobile access. Task approvals and handovers are streamlined, allowing employees to move on to the next task immediately instead of having to go back and rectify mistakes. When creating a custom workflow in Comindware Tracker, you will find that it is very intuitive. 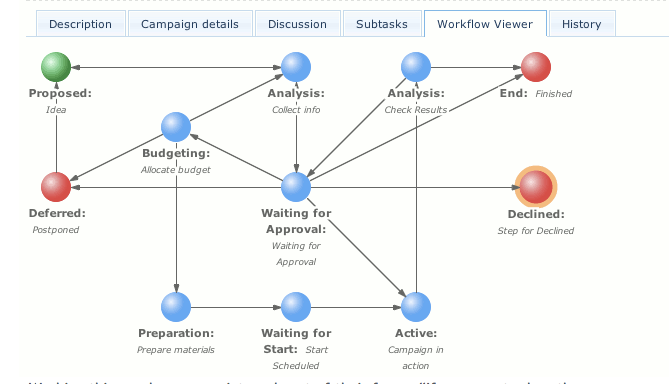 You open a workflow application, click on Workflow, and see a visual interface that contains a graphical workflow builder. The scheme is predefined, but you can customize it. You can create a “New” status in the Statuses list, which can belong to different workflows. Using existing statuses between different workflows is helpful when creating lists, reports, and dashboards. You can drag these statuses into the workflow area. This creates a new workflow step, and then you double-click that step to specify the settings. At this phase, you can assign a step to a specific employee. Once that person finishes the step, the workflow task moves to the next step and the next person responsible for its completion. After you have finished creating your step, you “Save & Close” and repeat for each step in the workflow. The workflow can contain as many or as few steps needed to complete a task. If there are several independent tasks that have to be completed simultaneously, you can fork your workflow where needed. Again, no programming experience is needed to build an awesome workflow that will streamline task completion, and you can upload a workflow sample to help you even more. The ability to upload and customize workflow examples makes workflow creation even easier. You can also save your own created workflow samples or drafts so they can be used to create new workflows. The flexibility and workarounds are there for you to quickly create workflows for every task that you need to be completed within the company, which can eliminate the confusion and chaos that lead to poor customer experiences and resulting financial losses.